Turn up the glam! 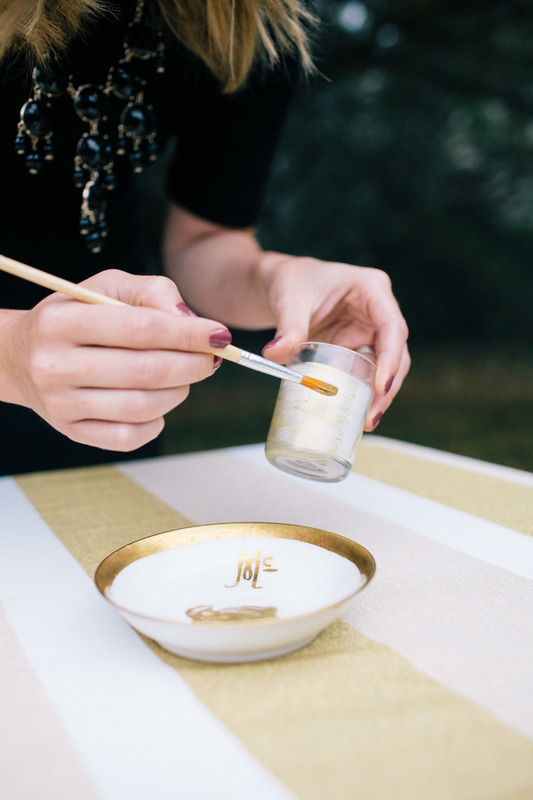 With gold paint from your local craft store, ordinary candles and vases turn into gilded masterpieces fit for the modern mountain bride. - Time :) DIY posts always leave this part out! Step One: Start with clean, dry containers and apply a layer of paint. For this project we freehanded the top line to give it an organic, one-of-a-kind feel. For the textured containers we used the dots as a guide for accenting the container. Step Two: After allowing the first layer of paint to dry, apply a second layer. Continue to apply laters until the desired opaqueness is achieved. We used three layers for our final product, but you could vary the layering for an ombre effect. 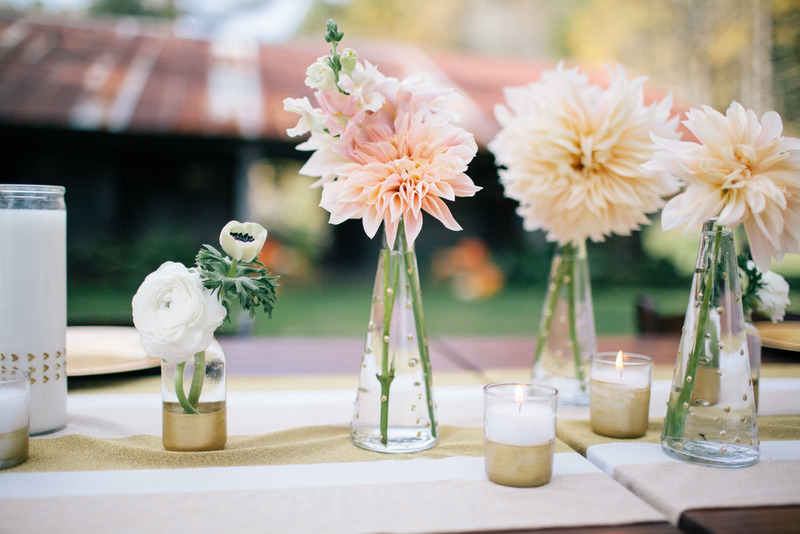 Step Three: Fill the dry vases with water and your favorite flowers! 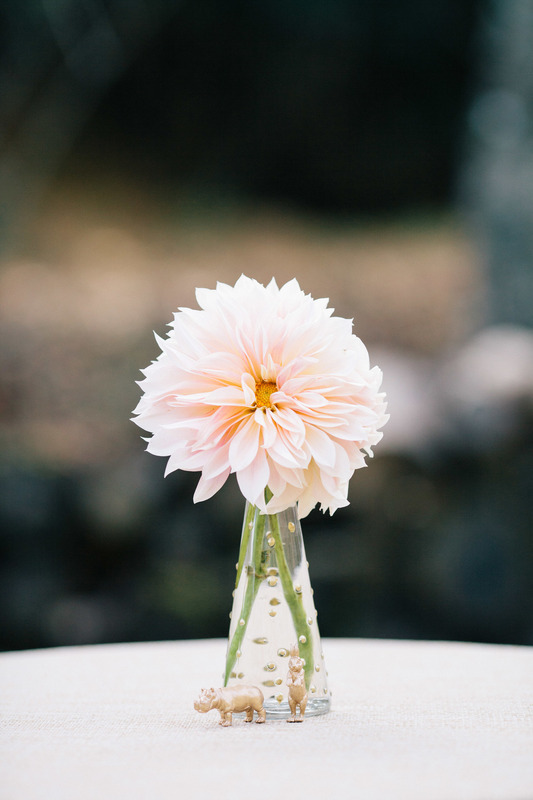 We used cafe au lait dahlias, garden roses, snapdragons, ranunculus, anemone and snowberry. 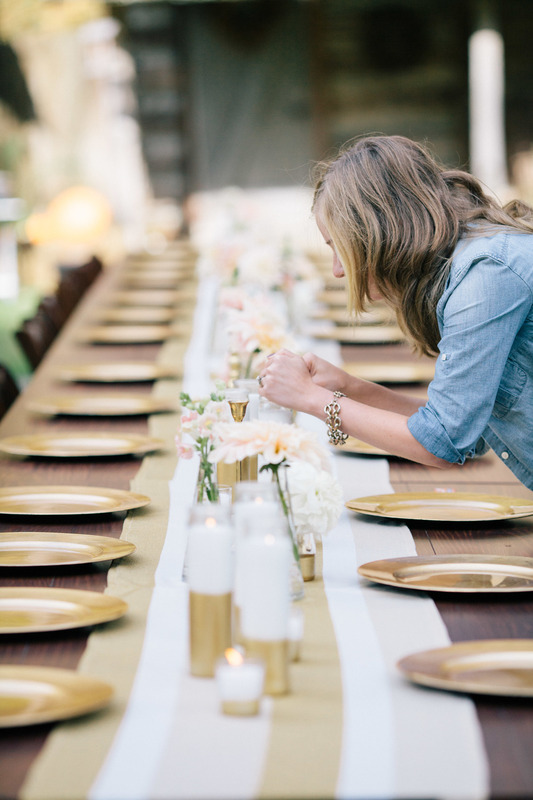 To complete our mountain modern look we added gold chargers, striped table runners and vintage candlesticks. The sky is the limit on things that can be gilded in gold! Check out these cute gilded animals the bride made using children's toys! Vases and candles are just the beginning! Let this inspire you to think beyond and craft special accents that reflect your personality and make your guests smile! We had so much fun with Sara on this project. Check out her website here!